DFW local Ryan Sewell is currently competing in the World Youth Championships in Australia this week. Ryan has crushed some big lines, like making the fourth ascent of Sharma’s King Lion in Arkansas. He is more famous however for catching the hantavirus while climbing in Colorado last year, even appearing on the Discovery Channel show Mystery ER about the ordeal. At any rate, good luck to Ryan and here’s a little video or two of him. Next up, a little Roger’s park bouldering. I actually met a couple of these guys while taking a wilderness first responder course a few years ago. Amazing what you’ll find on youtube these days. This video is a year old entry into a mountaingear.com contest. The editing isn’t half bad, and I’d be interested in seeing more climbing related footage from these folks. I don’t know what they were trying to win, but judging from the quality of the footage, editing, and nature of the education of these college students, I’d venture to say that they can probably afford whatever it was. Go forth young engineers! Go forth from your expensive education and edit more fancy videos on your apple computers for the viewing pleasure of the internet realm! Texas and the rest of the world…. There’s a post over at Erockonline that’s discussing the finer points of Texas climbing when compared to other more notable locales (Hueco Tanks excluded). Someone inevitably mentioned the abundance of rock in the state but with the caveat of difficult access due to remoteness and private property. 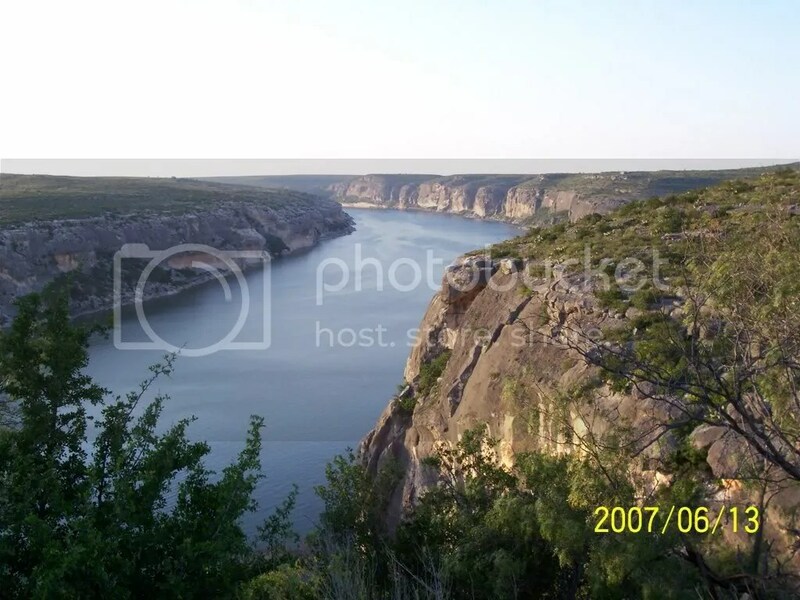 It really got me thinking about the Pecos River, near Del Rio. 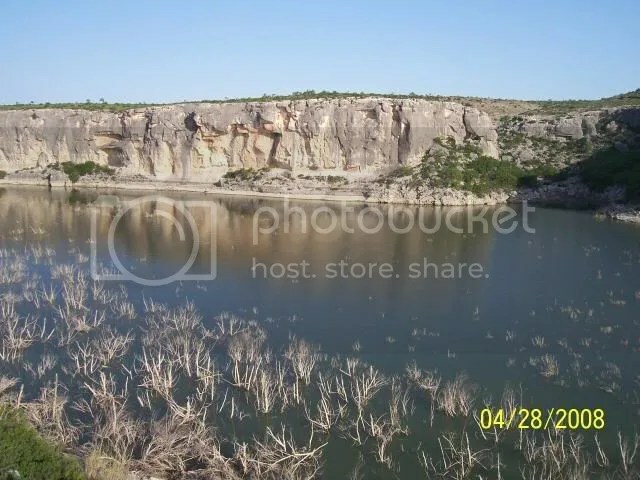 There’s already some great climbing on the Continental Ranch, and there used to be climbing right near the Hwy 90 Bridge/Amistad Reservoir Boat Ramp. Of all the places in Texas, the Pecos has probably the best potential for tall limestone climbing. Sure there are some nice crags tucked away here and there in the hill country, and even some taller cliffs like Camp Eagle, but the Pecos has miles and miles of uninterrupted cliff-line as tall as 300+ feet. If any of that barren land ever made it into the public domain and was available for climbing, Del Rio might become more than a border town with an Air Force base and a bass fishing problem. Straight from Horseshoe Canyon Ranch in Arkansas. I think the Texas Mountaineers are planning a trip over Labor Day weekend, if you’re interested.